Are all or some of the centrifugal fans in your commercial establishment on the older side? If so, you should strongly consider having them retrofitted. Retrofitting your centrifugal fans is almost always more affordable than completely overhauling your ventilation system. It’ll also bring your building back up to code. Check out some of the other reasons you should have your centrifugal fans retrofitted below. It will bring up the flow rate of your centrifugal fans. One of the main roles of centrifugal fans is to transport air and gases. To do this, they need to maintain a high flow rate when they’re turned on. Centrifugal fans have a high flow rate when they’re first installed, but over time, the flow rate can be reduced dramatically by a number of things. For example, if your centrifugal fans have dust on them, it can drag the flow rate way down. When you retrofit your centrifugal fans, you’ll replace the impellers them and bring the flow rate of air and gases back up. It will increase the speed of your centrifugal fans. In addition to bringing your flow rate up, retrofitting centrifugal fans can also increase the speed at which the impellers in your fans spin. 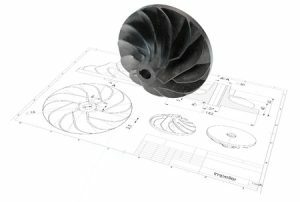 Often, impellers made from lighter materials than the ones you’re relying on now can be installed during the retrofitting process. Those materials will allow your centrifugal fans to spin much quicker and work like they did when they were originally installed. It will cut down on the amount of power your centrifugal fans use. When your centrifugal fans are working more efficiently thanks to your increased flow rate and speed, you won’t need to have them turned on as often. They also won’t need to work as hard when they are turned on. This will cut down on the amount of power they use and make them more energy efficient. If you’ve had the same centrifugal fans in place for years, now might be the right time to retrofit them. Dynamic Fan can talk to you about how easy it is to do. We can also explain some of the other advantages of doing it. Call us at 973-244-2422 today to speak with someone about retrofitting your centrifugal fans.